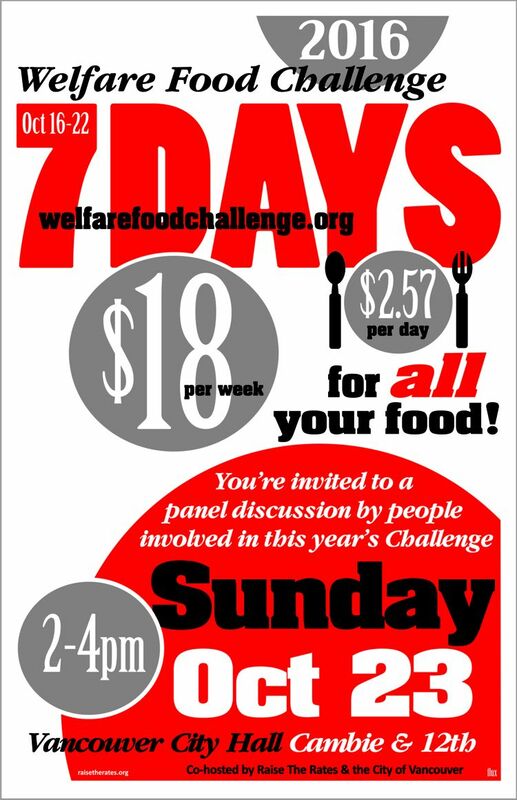 City of Vancouver and Raise the Rates are hosting a Town Hall meeting on Sunday, October 23, to mark the end of the 5th annual Welfare Food Challenge. After a week of eating only the food that $18 will buy – what a person on welfare has for food in BC – people will share their experiences, what they have learned and the actions that are needed. There will be time for discussion. Please join us!